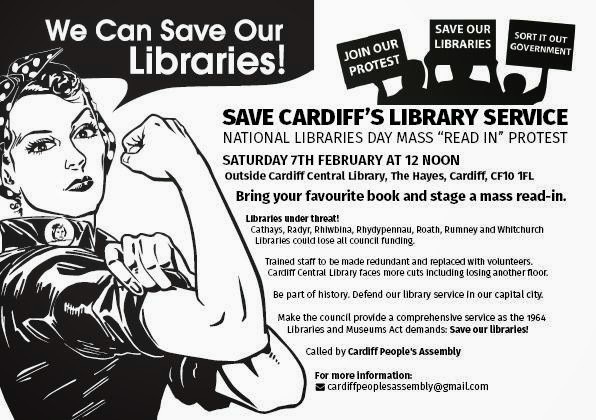 Fat Frocks: We can save our libraries! I've been following this and it's upsetting. Also, I think it's actually quite offensive to say that volunteers can do the same role. I'm afraid to say that yes, that's exactly what people believe librarians do all day. Most people don't visit libraries often enough to understand the range of facilities on offer and so feel absolutely that volunteers can shelve some books and keep the peace. If that's all it were then they'd probably be right. Some education needs to happen. Aw Gemma I hope you're ok I know how much libraries mean to you.